Victoria, BC – Robin Heppell knows funeral home owners and managers have a choice in which programs they invest in for their firm’s growth. With funeral homes investing hundreds of hours and thousands of dollars every year in professional development, the Funeral Marketing Blueprint program has been developed to give members a complete road map for their marketing initiatives. It is based on over 25 years experience, over $70,000 of education, the development of over 200 funeral websites, and the creation of a multimillion dollar preneed program. 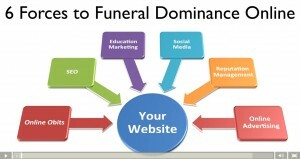 The Funeral Marketing Blueprint reveals insider secrets and proven techniques to making a funeral home’s marketing plan more effective and easier to follow. This home-study program is delivered with a combination of a hardcover binder – filled with all of the training slides, checklists, worksheets and other resources – together with access to a private, online membership website with all of the training videos, live and recorded question and answer sessions, plus additional how-to tutorial videos and resources to allow funeral homes to put these strategies into action as quickly as possible. 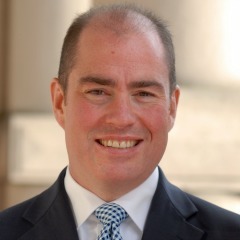 Robin Heppell, CFSP of FuneralFuturist.com is recognized in the Funeral Profession as a marketing strategist and thought leader for positioning funeral homes to embrace the future and has spoken in front of thousands of funeral professionals on topics of Marketing, Strategy, Competition, Websites, Social Media, SEO (Search Engine Optimization) and Google AdWords. For a brief overview of the Funeral Marketing Blueprint and the 7 Ms of Funeral Home Marketing, go to http://www.FuneralMarketingBlueprint.com/poster to download the Blueprint Overview.